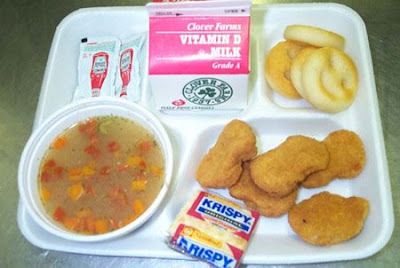 Contents: Milk, fries in the shape of smiley faces, vegetable soup, crackers, ketchup and chicken nuggets. those smiley faces look scary, cause i can't even imagine what are they made of. Definitely not something natural.